We can’t talk about the measles outbreak in Michigan without discussing the anti-vaxx movement. And we can’t discuss the anti-vaxx movement without scrutinizing the specious premise that the measles vaccine is, on the whole, more dangerous than measles itself. At this point, 39 people have been diagnosed with measles in Michigan, the highest number since 1991. Three dozen cases may not seem like a lot for a disease once so ubiquitous that public-health officials assume anybody born before 1957has already had it. 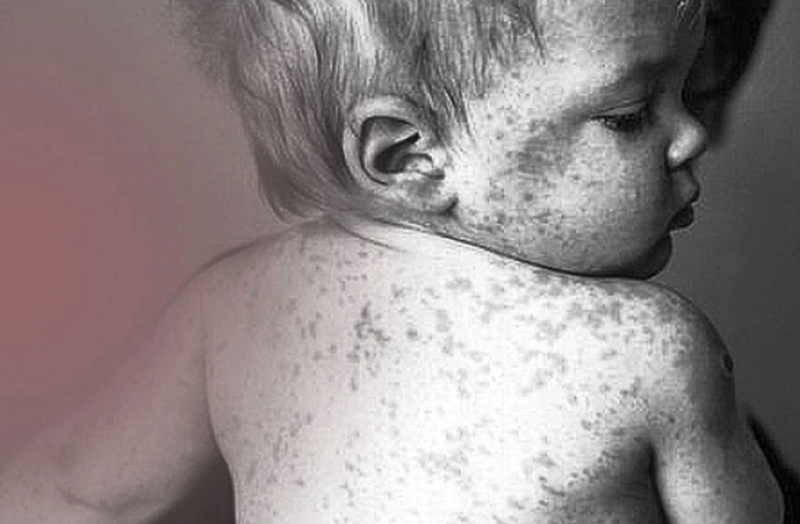 For most Americans of that generation, measles was a miserable experience – high fever, red eyes, ear infections as well as the tell-tale rash – but certainly not life-threatening. But there’s a reason a measles vaccine was greeted with such excitement in 1963, especially among doctors. Measles can have serious complications, including pneumonia, encephalitis and hearing loss. Even today, about 100,000 people die annually from measles. That’s not just in the Third World. Measles deaths have recently occurred in Israel,Italy, France. German health officials say about a fourth of their reported measles patients end up in the hospital. These are preventable illnesses, preventable deaths. The vaccine works. Measles could go the way of smallpox – total eradication – if enough people get immunized. Enter the anti-vaxx movement, which views the vaccine as its own health hazard. Hundreds of Michigan schools and child-care programs are vulnerable to a measles outbreak because of the numbers of unvaccinated children, according to public health data. Almost 400 public and private K-12 schools and 295 day-care programs had 10% or more of their students submit a vaccine waiver in 2017, state records show. More than 1,000 K-12 schools and 800 day cares have vaccine waiver rates of more than 5%, which is about a quarter of all K-12 schools and 22 percent of day cares. Experts say you need a vaccination rate of 95% to keep measles out.